After IDF flip-flop, media gag order lifted revealing driver who wounded three soldiers is a Hamas terrorist who planned the attack. As IDF sources on Thursday flip-flopped whether the Arab driver who left three IDF soldiers wounded in Judea's Gush Etzion by hitting them with his van two weeks ago committed a terror attack, it was revealed that the driver is a Hamas terrorist - and that he admitted to conducting a premeditated terror attack in investigation. A media gag order was lifted on Thursday, which revealed the driver, 23-year-old Hamam Jamal Badawi Masalmeh, is a terrorist with the Hamas organization, and a resident of Beit Awwa in the Hevron region of Judea. In the attack one soldier was seriously wounded, and another two were left with moderate wounds. Under investigation by the Israel Security Agency (ISA or Shin Bet), Masalmeh admitted that he ran over the soldiers as part of an attack he had planned in advance. The attack came just hours after a car attack in Jerusalem killed a border policeman and seriously wounded several others - including a teenage Israeli student who succumbed to his wounds shortly after. Masalmeh also admitted to planning other attacks before he was arrested, and reconstructed the car attack for security forces. In the beginning, Masalmeh tried to cover up the attack as being a traffic accident, and indeed the IDF at least publicly went along with the story after he turned himself in, saying they were treating it as a hit-and-run accident - an abrupt about-turn which triggered accusations of a cover up. However, under investigation Masalmeh confessed to the crime, and said that for a long time he had planned to conduct an attack on IDF soldiers. An indictment is expected to be submitted against him in the coming days. 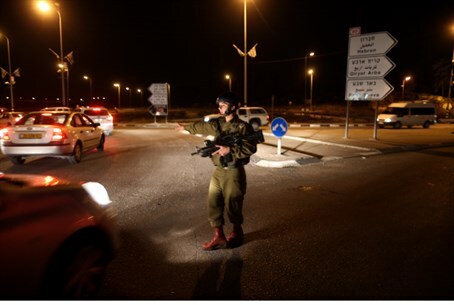 Indeed, after reports on Thursday that the parents of the three soldiers had been informed the incident was a terror attack and not an accident, one senior IDF source was quoted claiming that was not the case. "It is important to update the families since we are talking about soldiers and in an area under the military's control," the official said, emphasizing that although "progress has been made" regarding the incident no definitive position has been reached. He further noted that the investigation is being headed by the ISA and that all directions were still being investigated.